Smoke from wildfires in California adds to seasonal ozone buildup to keep valley skies hazy. Near-record temperatures also in store for weekend. Clark County has extended an air quality advisory through Sunday as smoke from wildfires in California continues to flow into the valley. Ozone levels also are on the rise due to weather conditions. High smoke and ozone levels can affect young children and older residents, as well as people with respiratory illnesses or heart disease, according to the county’s department of air quality. Saturday starts another warming trend with the high temperature climbing to 110 degrees. Sunday will also reach 110 degrees, but an excessive heat watch will usher in the new workweek, the weather service said. Monday’s high of 111 should begin the watch, set to last through Wednesday. Tuesday’s temperatures are forecast to climb to 112 degrees, which would break the previous daily record of 111, set in 1994. The weather service said the high of 112 will be repeated on Wednesday. 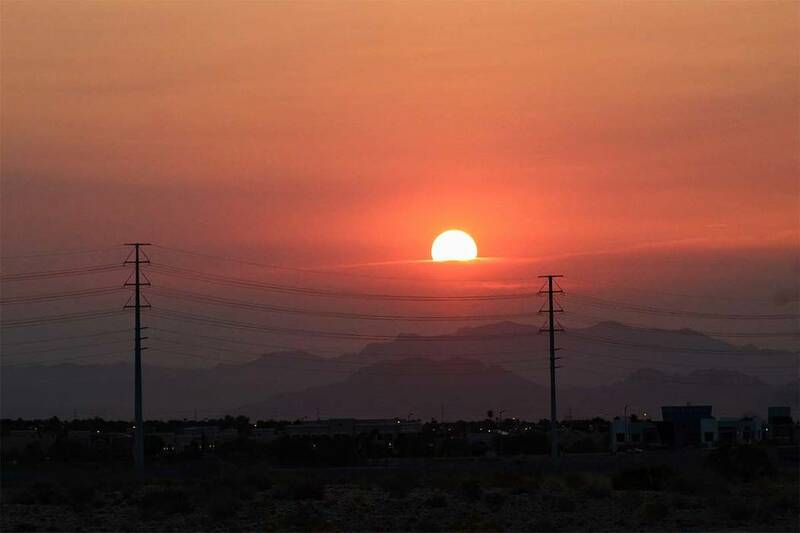 Cooling stations will be available throughout the valley during the excessive heat watch, according to a Clark County release.